Found in the gorgeous lands of Morocco, argan oil has been around for eons. It just so happens that despite its availability, it has only enjoyed much deserved popularity in recent years. There are a number of reasons why argan oil is a top-tier oil that has a plethora of benefits. Derived from a tree nut, this oil has impressive amounts of vitamin A, vitamin E, omega 6 fatty acids, linoleic acid and trocopherol. This makes it a fantastic oil for both the skin and hair. Here are specific ways in which argan oil can be very effective. It's very imperative for the health of your skin to ensure it is properly moisturized. While many people clean their skin properly, they sometimes skimp on the moisturizing process. Especially if they happen to have oily skin, as some are under the false idea that hydrating and moisturizing your skin causes oily skin or makes it worse. It's actually the complete opposite. Oily skin needs moisturizing just as much if not more! Argan oil is light and absorbs quickly, which makes it a great oil to use as a moisturizer at night. It won't rub off on your sheets or clothes and a couple of drops go a long way. It's imperative to properly moisturize no matter the skin type you may have. If you struggle with acne you are one of the millions of people who deal with blemishes and the scars that they so often leave behind. 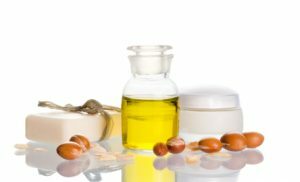 The good news about argan oil is that it has been shown to help mitigate the levels of sebum oil that cause oily skin, which is the breeding ground for acne in the first place. Taking just a drop of oil on your fingertips and dabbing it onto problem areas will help to reduce the inflammation when acne flares up. The dreaded marks that are typically seen on stomachs, hips, thighs and even arms can be prevented with the addition of argan oil as a body moisturizer. A couple of drops of the oil goes a long way and the vitamin A and vitamin E help to properly improve the elasticity of the skin. It's important to properly exfoliate the skin when trying to improve the elasticity or lighten already present stretch marks. Add a bit of brown sugar to your oil and rub it into your trouble spots. The same attributes that make argan oil so impressive and worthwhile on the skin also lend themselves to being great for the hair. Some research even suggests that argan oil can promote hair growth. A few drops of argan oil massaged into the scalp and the ends of the hair helps to manage flyaways and frizz - especially if you tend to use a lot of heat on your hair. This is a great oil to keep on hand as it acts as a heat protectant while also making the hair softer and more manageable. You can purchase argan oil online from several companies at amazon.com.